Just like driving any other vehicle it is important for motorcyclists to abide by the Florida laws to avoid getting a citation, but most importantly, to avoid getting injured in an accident. Motorcycle laws can and do change. This is why it’s important to stay up to date by attending the safety training courses offered by the FLHSMV (Florida Highway Safety and Motor Vehicles). Here is a list of laws we feel are necessary for every biker to know before riding on the road. Our firm can’t stress enough the importance of wearing a helmet. We have seen too many victims with serious head injuries from motorcycle crashes. In Florida, it is required that all riders wear a helmet approved by the U.S. Department of Transportation unless the driver is twenty-one or older and has an insurance policy of at least $10,000 in medical benefits. Protective Eyewear - eye protection is always required for all motorcycle riders regardless of their age. Headlights - headlights must be used at all times, even during daylight hours. Handlebars - handlebars cannot extend past the rider’s shoulders when seated on the bike. Seat - both the rider and the passenger must ride only on the regular seat that is attached to the bike; and both riders must be facing forward. Footrests - motorcycles with a passenger must have a footrest. Headsets & Helmet Speakers - headsets or earbuds are illegal to use while operating a motorcycle in Florida. Helmet speakers are permitted for communication purposes only. Use of Lane - motorcyclists are allowed to use the entire lane. Lane Sharing - riding two abreast is permitted in Florida. Lane Splitting - motorcyclists are prohibited from riding between lanes of slow or stopped traffic. These are important considerations. Just as with any other vehicle, if a rider is injured while violating a traffic law in Florida, it can reduce the compensation he or she would otherwise be entitled to receive. Unlike car insurance, motorcycle insurance is not required to register a motorcycle in Florida. However, if a motorcyclist is found negligent of a crash, they will be responsible for the property damage and any injuries. The penalties for not having insurance can be quite severe which is why it is always best to have at least bodily injury and property damage liability protection. Unfortunately, the standard automobile No Fault insurance (PIP Benefits) doesn’t apply to motorcycles. Even if you have the required coverage on an insured automobile, the insurance will still not cover medical expenses in a motorcycle crash. We recommend Uninsured Motorist Insurance on your bike. Nearly, 40% of Florida drivers have little or no bodily injury insurance to pay for your losses when they injure you in a crash. That is why we strongly feel motorcyclists should purchase UM insurance for their bike. 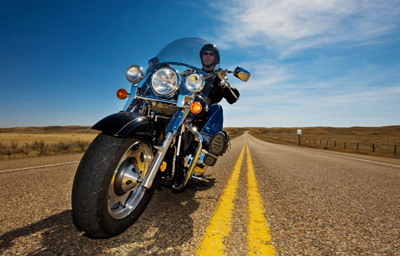 We consider it essential and the most important insurance to have on your motorcycle. UM will pay for medical expenses, lost wages, pain and suffering and any other damages the driver caused. Attorney Jim Dodson has been representing motorcycle accident victims throughout the state of Florida for over 25 years. We work on behalf of our clients to help them get the compensation they deserve. Please feel free to contact us online or call us directly at 727-446-0840.